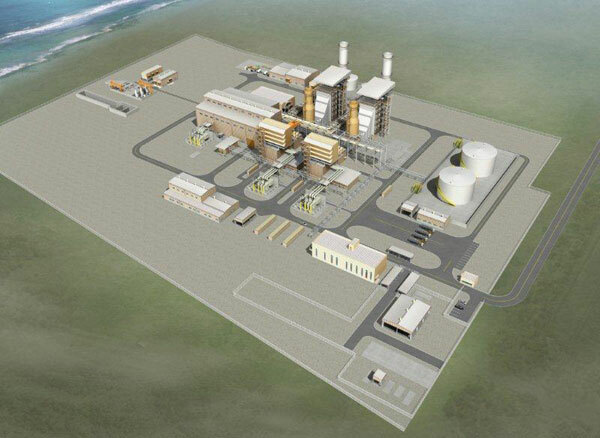 The Plant (Barka-3 IPP) is located approximately 80km northwest of Muscat Oman and is in the vicinity of the existing Barka-1 and Barka -2 IWPPs. The facility entered into full commercial operation on 3 April 2013. Capacity: Capacity of a Plant is defined as the total electrical power (MW), which can be delivered by the power plant under specific environmental conditions (site reference conditions). The contractual capacity of Al Suwadi Power under the PPA is c. 744 MW . The original net capacity at reference conditions in the original performance test was above 745 MW. This capacity is expected to decline over the period of PPA due to normal degradation of Plant but is expected to remain above c.736.5 MW and meet contractual requirements under the PPA. Availability: Availability is the amount of time the plant is technically capable of generating power as per specifications. As per the project agreements, Al Suwadi Power shall be available for 100% of time in summer and 85% of the time in winter. The projected plan nevertheless assumes conservatively that the power plant is in forced outages for certain time. Plant Efficiency (Heat Rate): The efficiency of the power plant is measured in terms of the amount of heat required to produce one unit of power. Demonstrated efficiency of 58% in the original performance test of Al Suwadi Power was better than contractual requirements under the PPA. The payment terms of the operation and maintenance agreement are fixed and split into three components (Euro, US Dollars and Omani Rial portions). Pursuant to the terms of the PPA, Al Suwadi Power is compensated for indexation in respect of both Omani Rials and US Dollar costs; however, the payments to STOMO designed to cover the long term maintenance contract costs with Siemens AG are in Euro, which means that the Plant is exposed to indexation and foreign exchange risk in respect of the Euro payments. In order to mitigate the foreign exchange exposure in respect to the above mentioned Euro payments, Al Suwadi Power has entered into foreign exchange hedging arrangements.